It was just a matter of time before our credit card companies began taking information gleaned from our purchase receipts and then targeting ads with what’s discovered. Most of us were just hoping the card companies would abandon those ideas before they came to pass. But now that it’s coming full circle, what do you, as a consumer have to worry about, if anything? 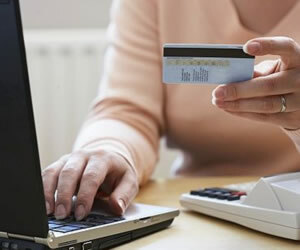 Both of the biggest names in the credit card industry have developed new ways of tracking their customers’ buying habits and them parlaying them into very specific ads that those customers will see as they’re browsing the internet. If you’re thinking to yourself that you don’t have an online account set up with Visa or MasterCard, so therefore you’re safe, you should know that’s not likely. If you’ve ever used your credit card to pay bills online, shop online or in any other way, your credit card companies already know the computer lingo that identifies things like your IP address – they already know who you are. The first thing consumers asking is how invasive are these new ploys? Can they really identify you? The answer isn’t as clear, though the degree of intrusiveness might not be as hokey as it sounds. In recent years, the mega social networking site has used very targeted algorithms for placing specific ads on a user’s side panel. For instance, a writer might see an overwhelming number of ads for, say, writing resources. A new mom might find ads for those brands synonymous with babies – diapers, bottles, coupons, etc. The information isn’t gleaned from a user in a direct way; rather, those complicated algorithms are designed to pick up key words. For instance, a new photo goes up on a user’s profile with the caption, “Baby Lee born today. He was 8 pounds and 8 ounces.” Instantly, those formulas kick in with the trigger or key words like “born today” or “Baby Lee”. From there, the formulas run with it and tell those companies buying ad space that “User (enter an amazingly long encrypted code that defines your “unidentifiable” information)” welcomed a new baby into the family. From there, and often within a matter of minutes, that user’s side panel loads with targeted advertising. It’s the same method with Visa and MasterCard and of course, all the other credit card companies. One example used in today’s breaking news includes a couple who had fast food for dinner and paid with their credit card. In for the evening, the couple fell into their evening ritual of checking email and surfing the web a few minutes before calling it a day. The ads for diet programs began showing up based on that same series of letters, numbers and characters that define the “unidentifiable” based on the fact that same credit card was used to pay a last minute utility bill on line ten months ago. So, yes, the information is available, but to a human (read: a criminal), it’s supposed to be impossible to decipher. It’s simple, really. Never before has it been possible to build an advertisement based on a single person versus demographics. Think of it this way: have you ever noticed there are no ads for, say, diapers during prime time television hours? Or if there are, they’re far and few between? Those companies use their advertising dollars to use on kids’ networks or daytime television programming. You won’t see an ad for a national women’s clothing chain aired during the Super Bowl, either. That chain knows it can better use its time and space to target the channels many women are watching in the bedroom while hubby and his buddies cheer on their favorite teams to the NFL championship. The problem with those dynamics is there’s no way to divide costly television space – advertisers can only go with who the majority might be during any programming. Now, though, if you and your best friend meet to get your weekly grocery shopping finished and you both use your credit cards, your ads online will resonate with those items you purchased in the local grocery store while your friend’s ads will be custom-tailored for her. Provided, of course, those credit cards have any kind of online existence. If you loaded up on sugary cereal, lunch kits for kids and juice boxes, your ads are going to be based on what a mom or dad might shop for: kids’ clothing, Disney vacations, etc. Your best friend might have purchased a bottle of wine and a wedge of cheese. Her ads might be based on a cruise line or the Wall Street Journal. It is true that the ads we’ve grown accustomed to online are based on our online behaviors. This is the first time our traditional shopping avenues (think brick and mortar) will connect us to the cyber world based on how we use our credit cards.